Planning the best vegan trip starts at home, with your vegan luggage — and I don’t just mean what you pack inside your vegan weekender bag (although that’s important too!). I mean making sure you have a vegan suitcase to start with. 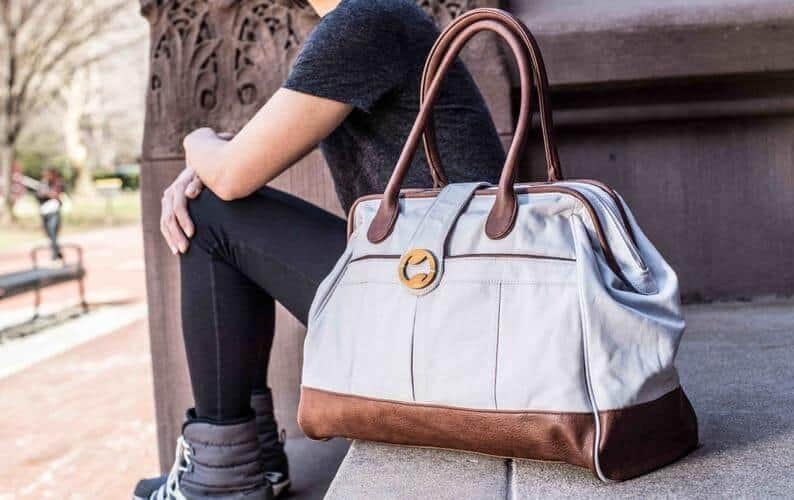 Many brands of luggage use leather, whether as a primary material or on zippers and accents, but you can choose a more ethical and environmentally friendly option with one of these vegan bags. If you recently went vegan and you’re wondering what to do with leather luggage you currently own, there’s no reason to throw out your luggage; that would be wasteful! Instead, I’d recommend continuing to use it until it’s no longer usable. Or, you can give it away (make sure it finds a good home where it will be put to use) and buy a vegan and eco friendly suitcase. If you’re looking for new luggage, here are some of the best options on the market today! Of course, canvas is an obvious naturally vegan option. Polyurethane is a vegan alternative that looks like leather. PVC is another vegan leather-like option but there are many concerns about its environmental impacts (although whether it’s better or worse for the environment than leather is debatable!). Then, there are a ton of innovative, eco friendly leather alternatives that are currently being made into shoes and purses (but sadly few have made their way into luggage — yet! ): pinatex (pineapple leather), mushroom leather, cork (from a tree) and a new leather alternative made of grape skins, seeds and stalks (which would have been waste material otherwise). Be sure to check there isn’t any leather trim on any bag! For each of the bags I’ve listed below, I’ve selected either vegan companies or bags listed as vegan. The weekender or weekender bag typically refers to a holdall bag with two carrying handles and enough capacity to pack for a few days. However, it can mean any type of bag (duffel, backpack, satchel0 with a big enough capacity to hold a weekend’s worth of stuff, for that city break you’re planning. 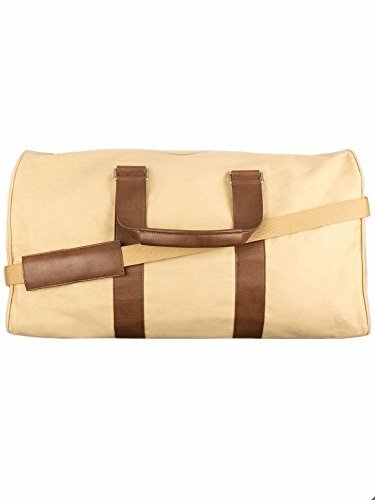 Investing in a good quality vegan leather weekender bag or canvas weekender bag is worth it, because a good one will last you years and many trips. Bags with interior pockets and good organisation also save you valuable time trying to find your belongings (critical when time is at a premium over a weekend trip!). Many weekender bags also double as perfect carry-on bags when flying, but always double check their size to make sure they fit within your airline’s requirements as individual airlines allow different bag dimensions. Here are my picks for the best vegan weekend bags. 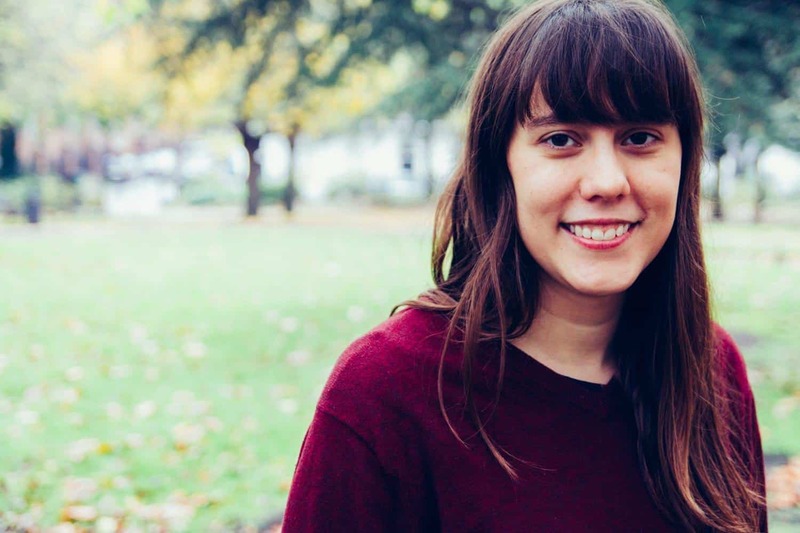 Matt & Nat is a brand that makes exclusively vegan products, made with vegan leather and lined with a material made out of recycled plastic bottles! Matt & Nat vegan leather bags are extremely durable. I have a Matt & Nat wallet that I’ve owned for nearly 10 years and it’s still going strong! 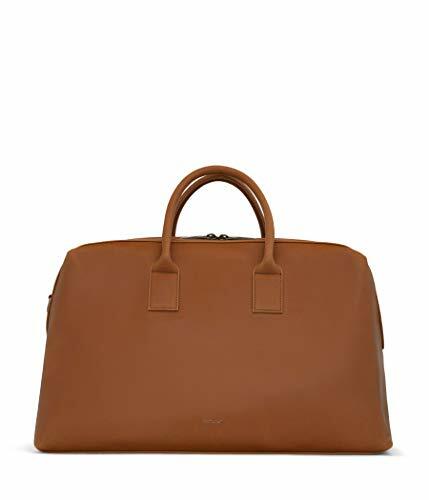 The Matt & Nat Andro weekender bag is a classic weekend bag, made of vegan leather. With a classic style, it’s made of a brown vegan leather and comes with two carrying handles or a detachable shoulder strap. Because it’s such a classic, unisex style, it will stay in fashion forever, and it would work for anyone. Inside, you’ll find a zip pocket and 4 patch pockets. There’s an exterior zip pocket on the back side, too. With dimensions of 20″L X 11.5″H X 10″D it will work as a perfect faux leather carry on bag for many airlines. One for those in the UK: Will’s Vegan Shoes is a UK-based vegan shoe and bag company that makes high-quality vegan leather goods, primarily men’s shoes, but recently they’ve expanded into wallets and bags. I’ve never owned a Will’s Vegan Shoes product, but I’ve heard glowing reviews from everyone I know who has purchased one of their vegetarian bags. They say the quality and durability are second to none. The Will’s Vegan Shoes weekend bag is another classic, unisex vegan leather shoulder bag. Made of a heavyweight canvas with vegan leather accents, this vegan overnight bag is made in Italy sweatshop-free. You can carry it with the two handles or with a shoulder strap. You’ll also find an interior zip pocket and an exterior zip side pocket. Click here to find out more and the latest prices. If you want a bag that will fit a lot of stuff, but still fit under seat or overhead on the plane, the Cassia canvas weekender is perfect. I love Etsy for buying unique products and for supporting small businesses. This weekend bag on Etsy says it will fit a yoga mat, clothes and shoes, and will fit under the seat or in the overhead storage on a plane. Made of sturdy canvas with vegan leather, and wood accents, it’s also cute and stylish, plus it has five pockets to organise your belongings. Dimensions: 18″W X 12″H X 8″D. If you're a minimalist packer, then why not get a cute non leather tote bag that can double as a weekend/overnight bag and a shopping bag? This vegetarian tote bag is made of canvas with vegan leather accents is lined with wipe-able vinyl so it you can clean it easily. You can order it with or without a zipper, and the bag features an interior and exterior pocket. The best vegan tote bags double as vegan tote handbags and overnight bags! 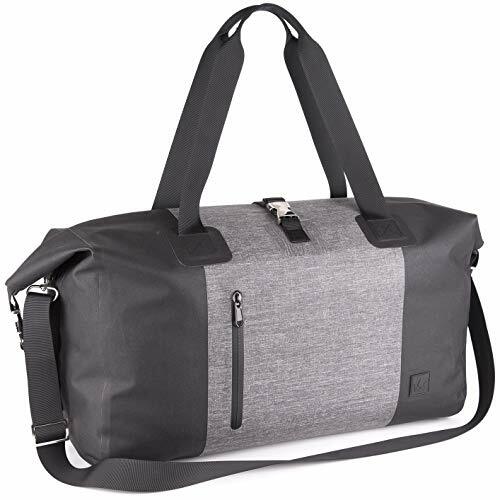 The Friendly Swede's vegan duffel bag is made of a waterproof, BPA free coated polyster. Perfect for weekend trips, camping (when you'll be happy for the waterproof material!) and as a gym bag. With a roomy, 30L compartment and a 15.6" laptop pocket inside, this duffel bag will fit plenty of clothes and your essentials. It features a rolltop cover, making it safe from pickpockets, and its classic, unisex design means you'll be able to use it for years to come. Dimensions: 20" X 15" X 9" (carry on friendly). It's also foldable and packable. 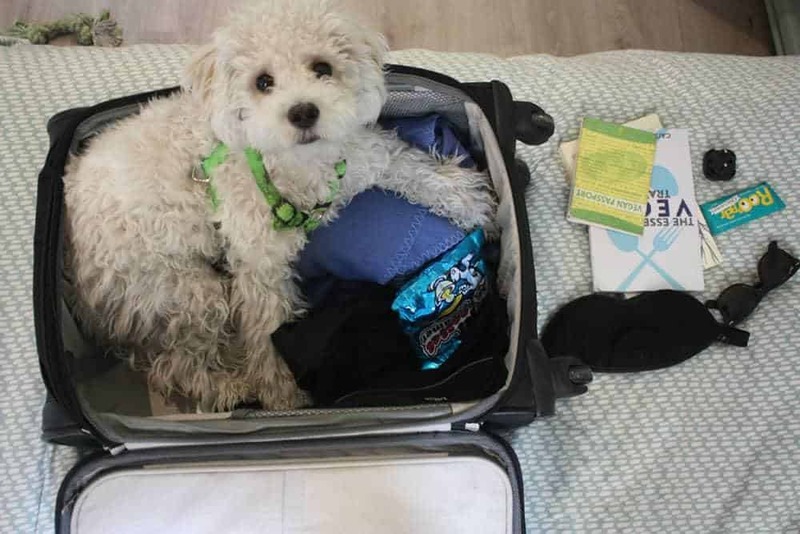 Looking for a vegan suitcase for your next trip? Here are some of the best wheeled cruelty free luggage options out there. Whether you're looking for vegan carry on luggage or a larger suitcase for a trip abroad, these eco friendly luggage brands deliver. Matt & Nat's carry on vegan leather travel bag is made of vegan leather with recycled lining, zipper closure and an interior zip pocket. It also has an extendable handle. As I mentioned before, I've owned several Matt & Nat bags and wallets (though not this one) and they're extremely durable; the wallet I have is ten years old and still going strong! This vegan leather luggage is carry on sized (check with your individual airline though! ), this is perfect for a weekend or longer trip. Samsonite's new eco luggage range comes in this handy carry on size! The entire range is made out of recycled plastic bottles. How cool is it that a major luggage brand like Samsonite is doing this? 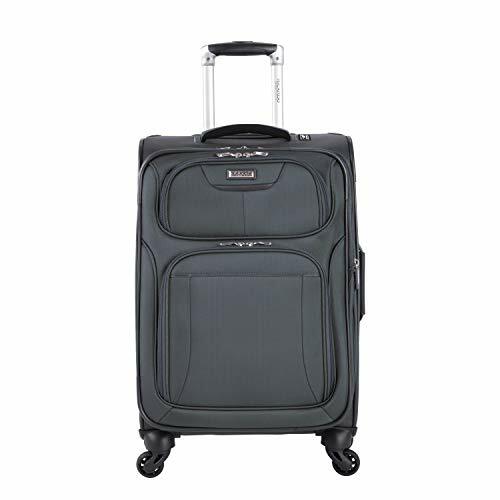 Samsonite luggage is SUPER durable -- I have a spinner wheel Samsonite carry on suitcase that's over 10 years old and has been to two dozen countries! I'm sure this vegan travel bag will last a similarly long time. The Samsonite Eco carry on, like the entire Samsonite eco friendly luggage range, has fabric made entirely of 100% post consumer waste recycled plastic bottles, from the exterior fabric to the lining. This recycle suitcase has a hidden expansion system, telescoping pull handle and an easy access storage compartment where you can keep your passport and valuables when going through the airport. 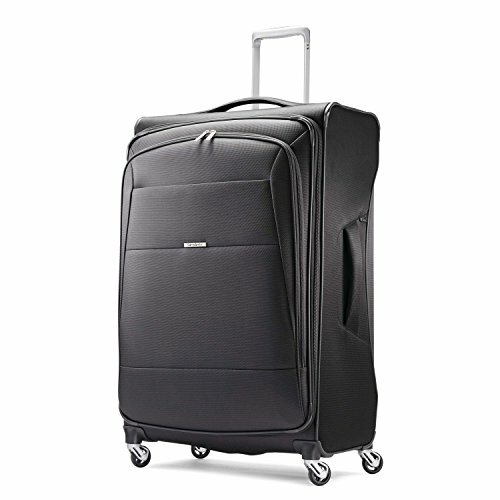 The Samsonite Eco 29" suitcase is perfect if you need a suitcase that's larger than carry on size for longer trips. Like the Samsonite Eco suitcase above, it's made out of recycled plastic bottles (if you've seen a nature documentary recently, you know how big a threat these are to our oceans!). Accents are cork. The exterior fabric and lining of this eco friendly suitcase are made of post-consumer waste recycled plastic bottles, and coated to be water resistant and stain resistant. This eco suitcase has an extendable handle and spinner wheels to make it easy for you to pull, along with easy-grip zipper pulls. Dimensions: 29.75" X 20" X 11"
Click here for the latest information and prices. Samsonite's Eco vegan luggage sets are made of recycled plastic bottles and come in cactus green/camo green or Pacific blue/navy, making them easier to spot on the airport conveyer belt than black suitcases! This environmentally friendly luggage set comes with four pieces; each piece made of recycled plastic bottles (both the fabric outside and the interior lining). Each suitcase is expandable and the 20" carry on has an accessible compartment perfect for your passport, valuables and liquids for airport security. No more rooting around in your bag for everything! Samsonite suitcases are durable and long-lasting (I've had mine for ten+ years and taken it to two dozen countries!). 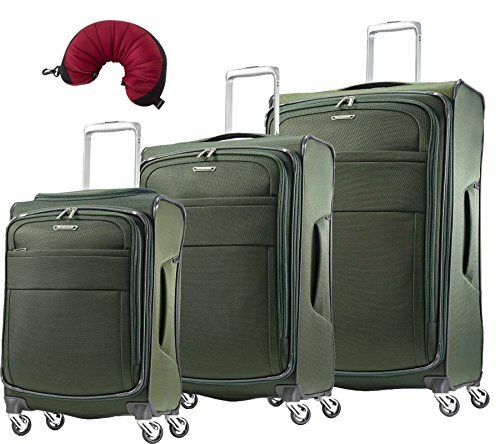 McBrine eco friendly luggage is the perfect choice if you prefer hard sided luggage. Personally, I prefer a soft-sided bag or suitcase so it can expand, but I know some people prefer hard lugage, so the McBrine eco set is perfect. Made of 70% recycled material, the bags have an ABS shell coated in ABS film to reduce scuffing. 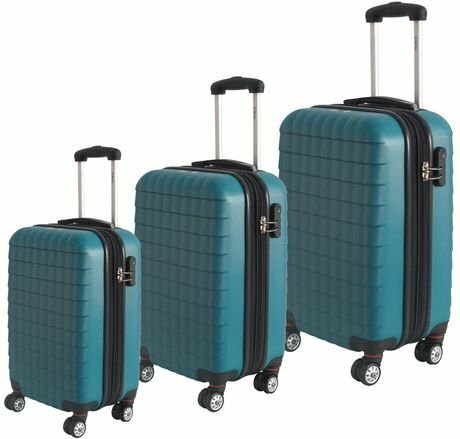 The 3 piece set is lightweight, features fully lined interiors and a combination lock for security and also has 360 wheels. The Ricardo travel bag carry on is the perfect option if you're looking for an affordable and vegan carry on suitcase. Plus, it's lightweight! The exterior is made of durable and weather resistant polyster with vegan leather accents. It also has 360 wheels and a telescoping handle. The interior features compression straps, a secondary compartment with a hanger and anti-wrinkle bar and a water-resistant TSA-friendly toiletries pouch. 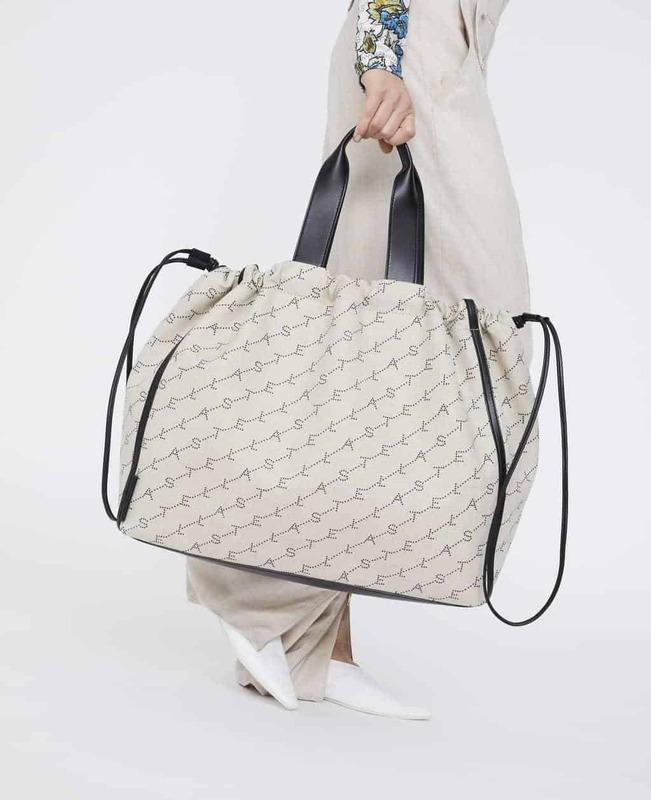 This Stella McCartney monogram big tote is cruelty free, like the entire Stella McCartney range. 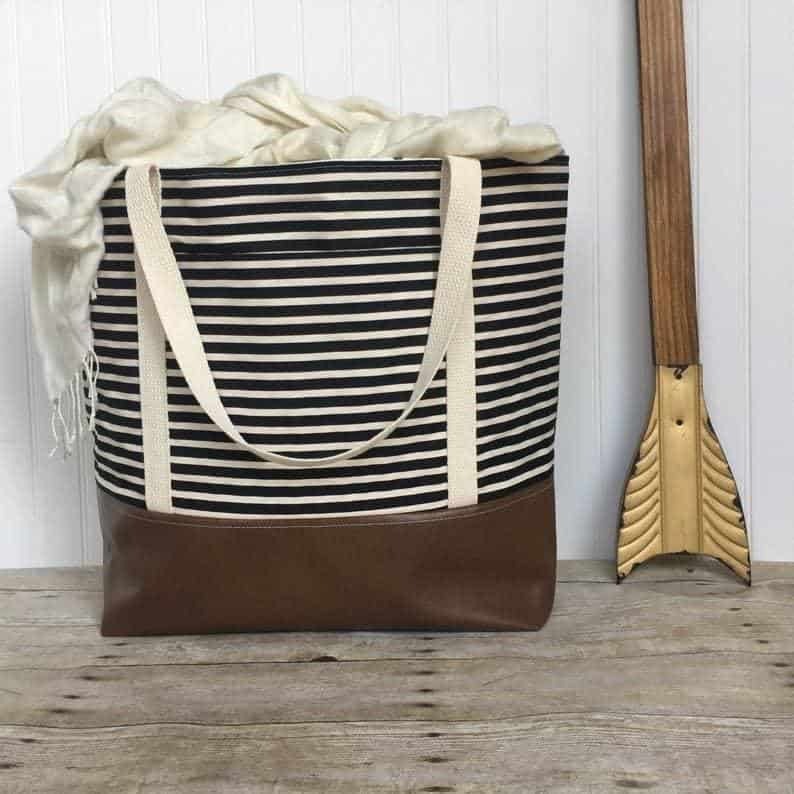 Made of organic cotton, viscose, polyurethane, recycled linen and polyester, this big tote would be a great weekender bag. If you're looking for a luxury vegan weekend bag, this is it. Need a budget friendly eco suticase option? My favourite way to buy specific secondhand items (e.g. not browsing a secondhand shop for a dress but when I know exactly what I want) is on eBay. There are new items on eBay too, so be sure you filter on the lefthand side menu for used items only. You can search for whatever you want -- a carry on suitcase, a backpack or a duffel bag! Many travellers prefer a backpack to a wheeled suitcase. If you have any back problems, you'll likely want to opt for rolling, wheeled luggage. However, if you're planning to do any camping or hiking, a backpack might be better suited to your trip. If you prefer a backpack, here are some vegan friendly backpacks. From your basic vegan rucksack to the Osprey travel backpack (it has travel-specific features) here are some of the best vegan backpacks. Opsrey make some of the best travel backpacks out there, and their Fairview and Farpoint backpacks are one of the most popular backpacks among travellers! In recent years, Opsrey designed different backpacks for male and female frames (Farpoint and Fairview, respectively). 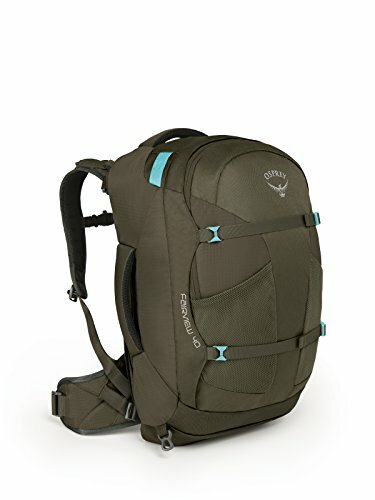 I ended up choosing an Osprey Fairview myself because I'd read a lot of bad stories from other women who travel about how backpacks designed for men hurt their backs. Osprey packs come in varying sizes. 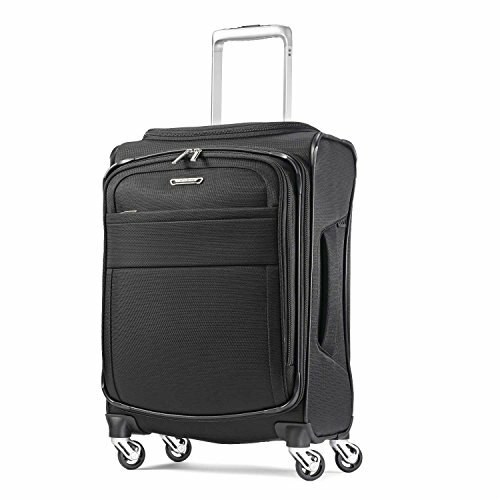 The 40L model is the smallest and is carry-on friendly. I haven't had trouble on EU budget airlines. This vegan backpack is made completely out of synthetic, durable materials. They're very durable and incredibly well-designed, with a ton of different pockets, a very long zipper that allows you to open from the top in an airport/bus station or to open the bag completely to better access the contents. My Fairview vegan back pack has an extra-cool feature that allows you to zip up the shoulder straps behind a zipper so they don't get in the way when you stash it in the overheard compartment on the plane. It's also a lot more comfortable than any backpack I've used previously (although to be fair, before this I used standard backpacks for travel -- oh, and I tried a budget Amazon Basics backpack that was so uncomfortable I returned it before even attempting to use it!). I've linked above and below to the model I have, the carry on sized female travel backpack; click here to see the Opsrey Farpoint (male vegan travel backpack). The Eve Cork grande backpack is a large, eco friendly backpack made of cork. 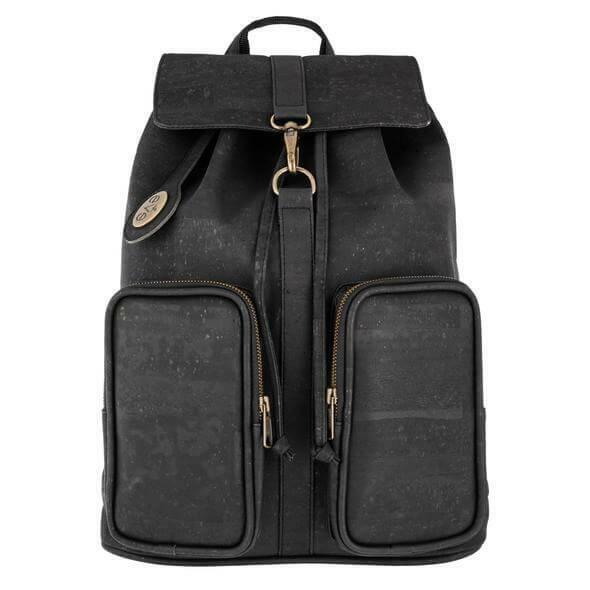 As far as vegan backpack brands go, Eve Cork is a great find - specialising in cruelty free, eco friendly cork products made in Portugal with vegan glues and vegetable dyes. Eve Cork's products are ethically made in Portugal. Cork is a very eco friendly product made from cork trees which grow in Spain and Portugal. This backpack is waterproof, stain-resistant and easy to clean, plus as well as being cruelty-free it's lighter, more durable and softer than Italian leather! The Eve Cork grande backpack features two exterior zip pockets and an interior zip pocket to keep your valuables safe. It features sturdy Italian brass hardware. 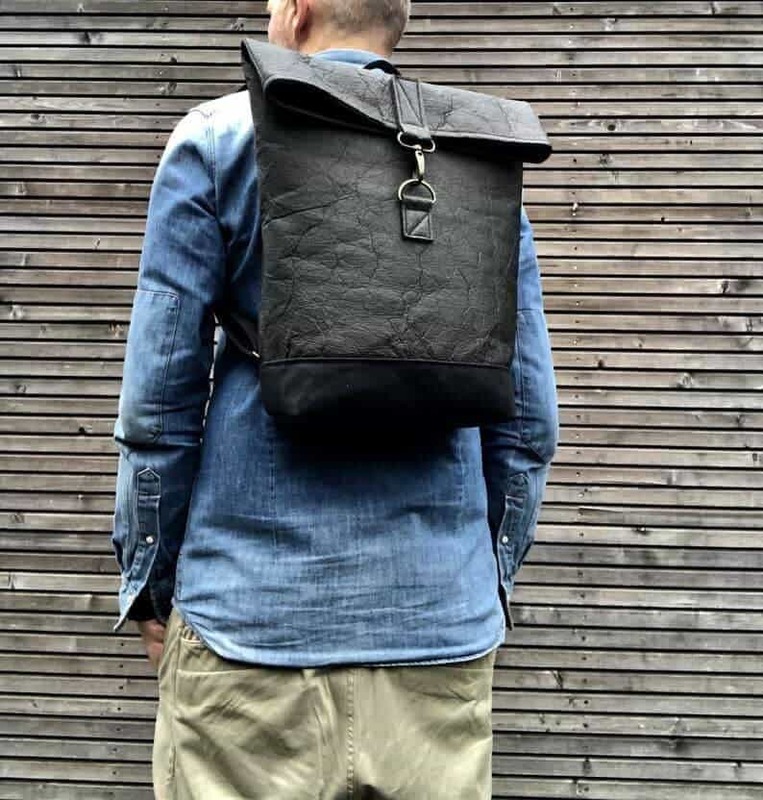 This Piñatex backpack is made out of pineapple leather, an eco friendly and vegan alternative to leather. The backpack is made of Piñatex, pineapple leaf fibers (a waste product), with waxed canvas straps and looks perfect if you're a light packer. As well as being eco friendly, I find Piñatex really durable, although I haven't tried this particular backpack. As I mentioned before, I love buying through Etsy to support independent businesses when possible - so I recommend buying this Piñatex backpack through there! The backpack is medium sized, with a padded laptop compartment -- so this one's best if you're a light packer or just need an overnight bag. Not sure what to pack in your bag? 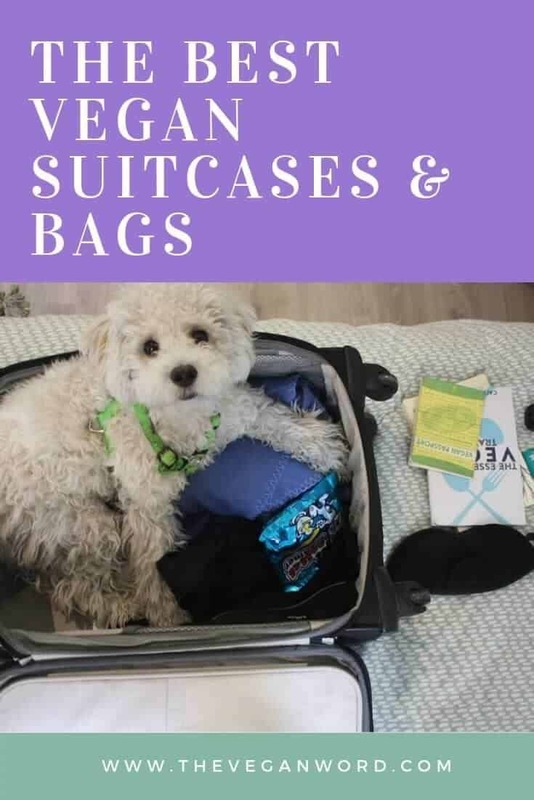 Click here to read my list of the best vegan travel snacks to get some ideas of snacks to pack! Note: This post contains affiliate links, which means if you buy a product through them I'll receive a small commission, at no extra cost whatsoever to you. Thank you for supporting my blog!